Hello! We are so glad you came to the Milford dental health blog. This is the place where we take the time to answer some of the questions cosmetic dentistry patients in the Cincinnati area are curious about. Today we are discussing veneers. You may have heard the word veneer used in conjunction with cosmetic dentistry, and that is because they are a popular and effective cosmetic dentistry tool. The first step in the veneer process is to make a mold to work from. 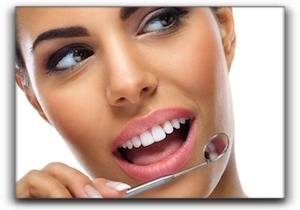 Your Cincinnati, Loveland, or Montgomery dentist will make the model of your teeth. After that, a dental technician will use the model to create the veneers. It is important to note that because a little of the enamel from the tooth has to be removed so the veneers can be placed, this process is usually irreversible. Or you may be a candidate for prepless veneers, which do not require any removal of enamel. If you are in the Montgomery area and are looking for a dentist, give Timothy J Kitzmiller DDS a call. My name is Dr. Timothy Kitzmiller and I have been serving Milford, Ohio since 1988. Please call 513-248-8848 and a member of our hard working staff can answer any questions you have about veneers, teeth whitening, dental care, or smile makeovers.